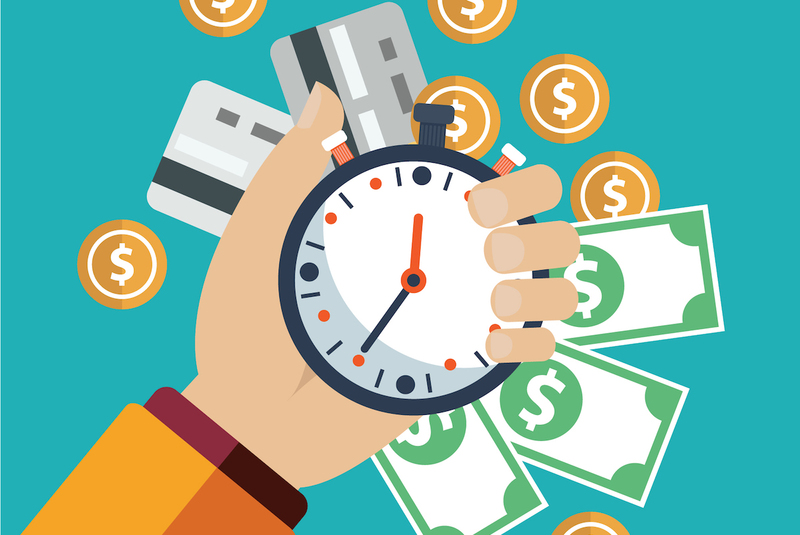 How Much Should You Be Spending on Workflow Automation? One of the many benefits of workflow automation is cost savings. Many organizations and industries are incorporating automation in order to minimize production costs and reduce wasted time for employees. A January 2017 McKinsey and Company report on the future of automation estimates that 60% of all occupations have at least one-third of their activities automated. But just how much money will automation really save, especially when it comes to investing in a workflow automation tool? There’s no exact formula for cost savings, but there are a few key areas of your organization you can look at to find an answer. Automation is designed to replace or assist human hands when it comes to task completion. In some cases, employee involvement may be entirely eliminated from certain processes. In other cases, the work of the employee is reduced to only the bare essentials. This means that employees should be able to focus on tasks, projects and ideation that machines or automated processes can’t handle. The idea is that with automation, employees spend their time more effectively, which saves on labor costs. So just how much does workflow automation save in terms of labor costs? It depends on a few factors. First, you have to understand what the average worker is paid for his or her position. 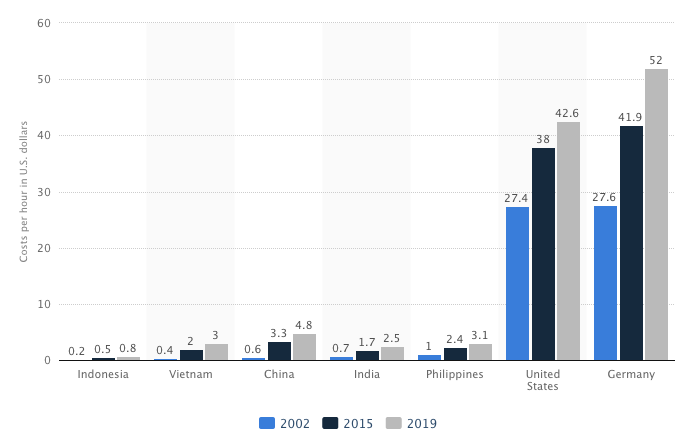 For example, the average manufacturing labor cost in the U.S. hovered somewhere around $38 in 2015 and is predicted to rise to 42.6 in 2019. You can calculate these costs based on what you’re already paying your employees. Or, if you haven’t yet hired someone to fill a roll and you’re curious how much automation would save, you can look at industry labor costs. Sites like Glassdoor can help give you an idea of the average costs of labor per industry. You can then multiply your hourly rate by the number of hours a process would take to complete. The tricky part comes to determining how much time your automation tools will save on any given task or project. If you already have access to a workflow automation tool, or a demo, you can run the task and calculate the project time. Otherwise, you may have to ask the vendor for estimated times for specific tasks. Determining how much potential savings (this will be an estimate, as it’s difficult to get an exact number), you can subtract that from your current labor costs. For example, let’s say you currently employ someone (at $12 per hour) to upload resumes into your HR system, which takes roughly an hour per month. Your yearly costs would be $144 for this task ($12 x 12 hours per year). Let’s assume that automation reduces that one hour per month down to 5 minutes, or one hour per year. That’s an immediate cost savings of $100+ dollars for one task. Longer tasks and processes – reporting, approval processes, sending notifications, and so on – might add up to thousands of dollars saved over the course of the year. Weighing all of those costs against the monthly or annual cost of an automation tool may help you see whether or not the tool is worthwhile. If you’re only saving costs on a few small tasks, it might not be worth it. But for many small or large tasks, the costs savings could be significant. Another factor you have to consider when calculating labor costs is time loss. Time wasted on human-made errors or miscommunications can add up in addition to the regularly hourly pay or salaries your employees receive. In fact, 13% of employee productivity is lost due to social media alone. 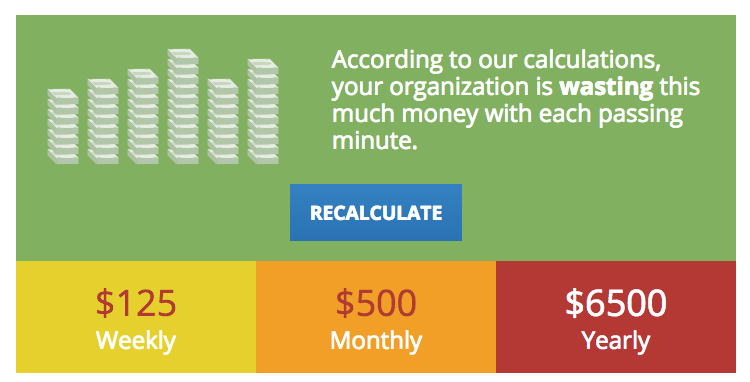 Calculating the amount of time lost for your organization can be difficult. You can use a tool like Time Click’s Time Theft Calculator. You can also use American Time’s Time Loss Calculator for wasted minutes in the day due to any factor, like social media or absence. BestPitch also has a specific formula for calculating hourly rates based on time loss based on a variety of other factors. Compare the estimated time that an automation tool would take to complete a task versus how long an employee would take, including any breaks, errors, email mishaps and other time loss factors. You should be able to determine roughly how much time (and payroll costs) you will save by adding automation. It’s important to keep this in mind when deciding whether or not to choose workflow automation. Unlike with employees, there’s rarely any time wasted with automation. Time loss can also occur due to non-human events. Things like toner running out in the printer, paper jams, uploading errors and machine breakdowns can all impact your total costs. Again, this can be difficult to calculate a specific number, since breakdowns don’t always happen when you expect them (ideally they wouldn’t happen at all). It can be hard to plan for mistakes. In this case, it’s best to look at your operational history. How many errors did you have last year? How about in the last five years? Calculate the average cost of any machine breakdowns (cost to replace parts, cost to refund customers, etc.) to get a solid idea of time loss and costs associated with your physical operations. Automation may not always be able to help here, but in some cases, entire software systems may be replaceable by automation software. Bottlenecks in your operational workflow can also impact costs. If your workflow isn’t designed to get a product to the end-user quickly (without multiple approval steps, for example), then automation (and workflow mapping) can certainly help prevent those bottlenecks from occurring. It’s also important to take the time to really integrate any automation software into your system to see how it saves you time and money. You should look at your operational spending over 3-6 months before and after using an automation tool to see if it’s truly effective. 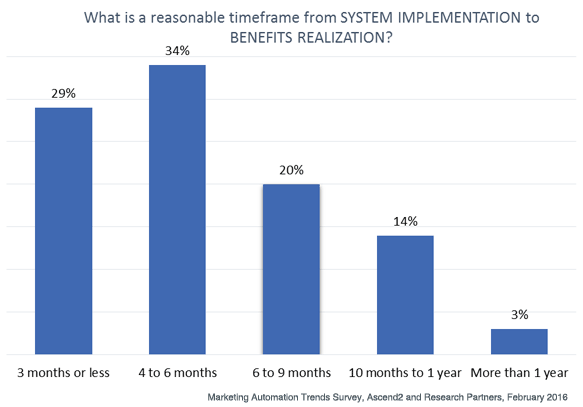 One report from Ascend2 found that it takes somewhere between 4-6 months to see the full benefits of your automation tool. If you consistently find yourself running behind on certain projects, processes or tasks, then automation can help bridge those gaps. It should be visible to you on your yearly budget reports. Ideally, your workflow automation tool will save you more than it would cost to have an employee perform the same task. If you only have a few tasks to automate, it may not be worthwhile to shell out hundreds for an automation tool. Or, you may consider using a simpler or cheaper automation tool to perform those tasks. If you see that you’re spending more on tasks and processes that could easily be automated, then investing in a more serious workflow automation tool is worth it in the long run. Again, workflow automation tools can be used to lessen the amount of labor an employee may have to perform, or replace their job all together. Either way, make sure you take factors like time loss into consideration when calculating your labor costs to compare with your automation cost savings. Make sure you can answer these questions before investing in a new workflow automation tool. Subscribe to get this free resource.